Anime has been a hit in its originating country Japan. With its burgeoning popularity overseas as well, it is only natural that the transition from anime to the big screen would happen sooner or later. 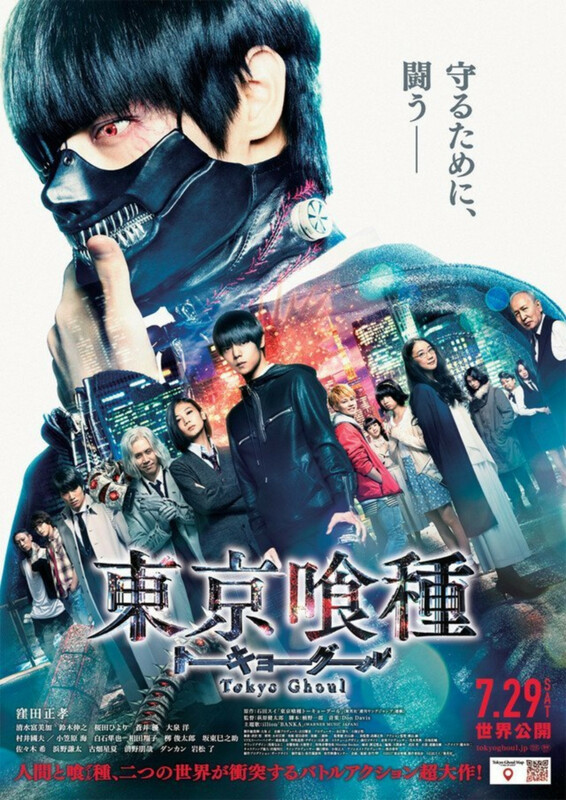 Tokyo Ghoul stars Masataka Kubota, Fumika Shimizu, Nobuyuki Suzuki and Hiyori Sakurada and is set in an alternate universe where the ghouls live amongst humans in secret and their survival is dependent on the consumption of human flesh. Ken Kaneki is a student who wakes up in a hospital to learn that a surgery had transformed him into a half-ghoul after being attacked by his date, Rize Kamishiro, who is a ghoul. Struggling with his new life being half-ghoul and half-human, he must now adapt to the new changes in the ghoul society, all whilst keeping his identity hidden from his human companion. Having personally watched the originating anime, I feel that the movie is not worth checking out as it lacklustre in terms of the action-packed sequences as compared to the the anime. While the movie stays true to the nature of the anime storyline for the most part, many major details had been omitted. However I can see why this is so, as the movie comprises of 2 seasons worth of the anime being crammed into a 2-hour movie. In my opinion, it would have been better if they had made the movie a 2-parter to space out the sequences and give more room for details. Cons aside, what I loved about the movie was how the details of the ghouls were being brought from from the anime into the movie. That I would say was my favourite thing about the movie. Catch Tokyo Ghoul in cinemas now!